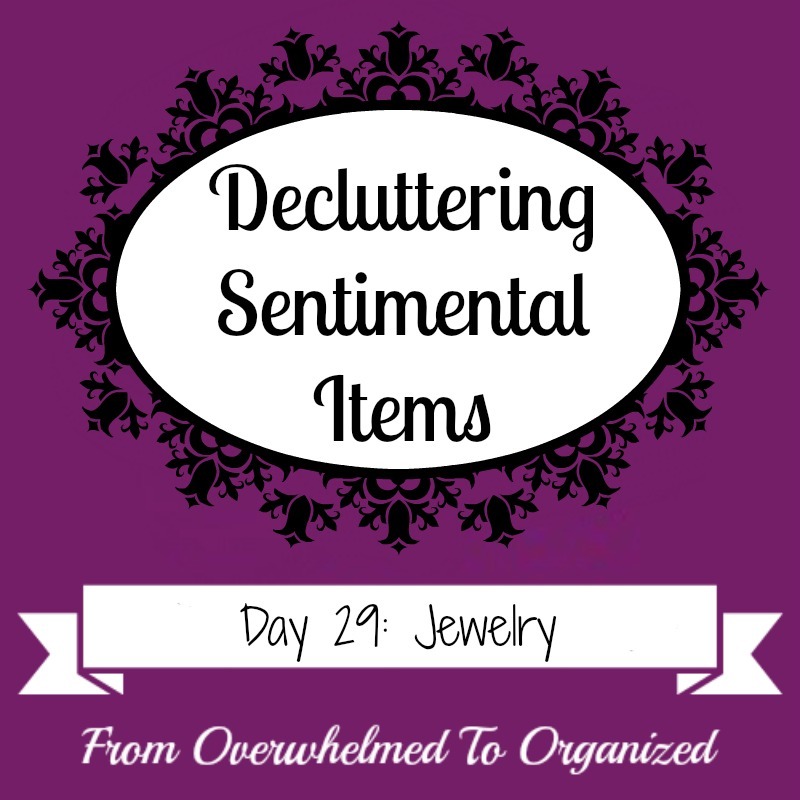 Today in the Decluttering Sentimental Items series I'm sharing tips for decluttering jewelry. I'm not talking about the easy stuff... cheap necklaces, earrings where you're missing one of them, etc. I'm talking about the really sentimental stuff... items you've inherited from your mom or grandma, gifts from your spouse or former boyfriends, etc. It can be hard to let go of jewelry because it holds so many memories. Well, maybe jewelry from exes might be easier to let go of. Especially if there are negative memories associated with it. Or if you don't want to wear it because you're in a new relationship. It might be easier to let go of that kind of jewelry. But most of the sentimental jewelry I'm talking about is harder to declutter. Even if we never wear it, we know it was special to the person who gave it to us. Inherited jewelry is even harder because there are often stories associated with it. Maybe times were tough and the only really valuable thing an ancestor owned was their ring. 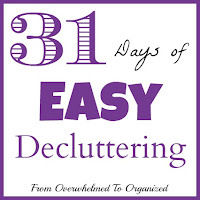 We feel guilty even thinking about decluttering something like that. As with many of the items we've talked about in this series, look for the treasures to keep and let go of the rest. See if you can find other family members you can give the pieces of jewelry to. Maybe a daughter or a niece who just turned 18 or just graduated or just got married. Perhaps a sister or a cousin who loves vintage jewelry. You could sell some jewelry if it's worth something. If you feel guilty doing that, you could donate the money you get to your loved one's favourite charity in their memory. For the treasured jewelry you've decided to keep, find ways to use or display it so you can give honour and respect to the person who gave it to you. You can hang them somewhere so you see them regularly instead of having them stashed away in the bottom of a drawer. You could hang them in a shadow box with a photo of your mom or grandma wearing them. It helps make it a discussion point so you can share the stories associated with these pieces with future generations of your family. You could also make something out of your old jewelry. Just a quick search on Pinterest for "repurpose jewelry" gave TONS of ideas... book marks, hair pins, bracelets, a box with old jewelry on the lid, decorative monogram letters with old jewelry glued to them, artwork created out of old jewelry, etc. One of the 365'rs shared this picture of a frame her mother made her, filled with lots of little sentimental items, including her grandfather's ring. You could use something like this for any sentimental items, but especially jewelry because it's generally fairly small. 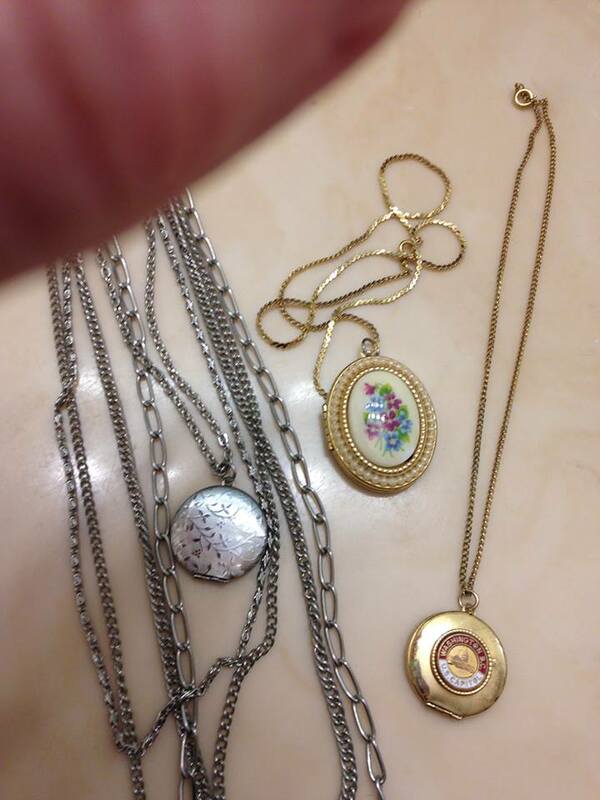 This same 365'r has some of her grandmother's lockets and they aren't her style so she won't likely wear them. She plans to do a similar thing as her mom did and frame these special lockets so she can see them and remember her. 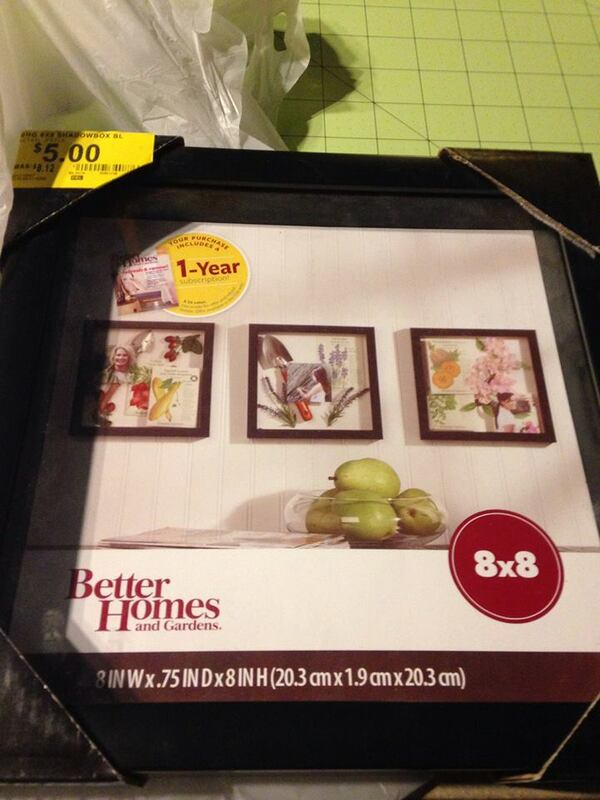 Here's one of the frames she bought to use for this project. I love the idea of hanging or displaying or framing sentimental jewelry! I need to go through my jewelry box and do this with a few sentimental pieces too. 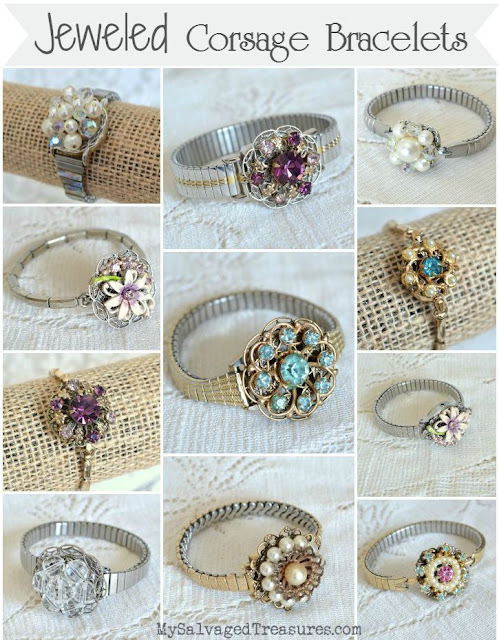 There are tons of ideas online for repurposing old jewelry that you don't wear into either jewelry you will wear or something you can display or use. Here are some of my favourite pictures I found (with links so you can see the details of how to make something similar yourself). A DIY ring made from an old earring. A great idea if you have only one earring or a broken earring. Or if you want to be able to wear the jewelry in a different style than it originally was. Artwork made from old brooches and pins. I saw other artwork online that included necklaces and bracelets too. You can use whatever you have and be creative. 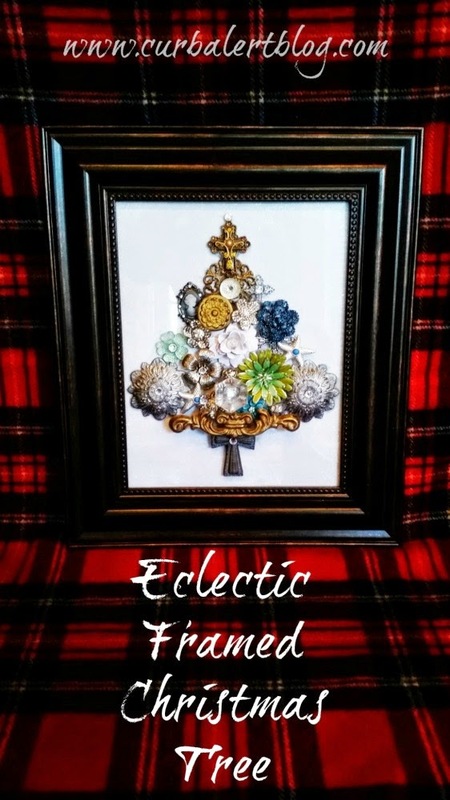 It could be something seasonal or a piece of artwork you keep out all year. Maybe a picture that reminds you of the person who gave you the jewelry. 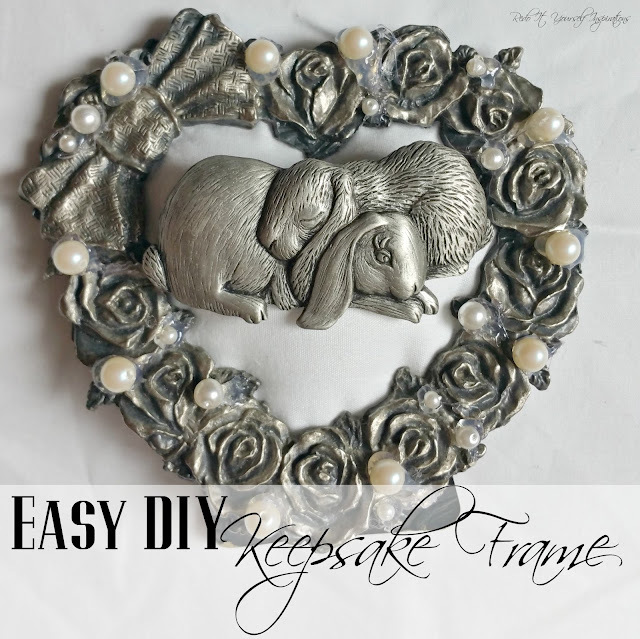 This person took an old photo frame and up-cycled it with jewelry to make a frame she could hange other jewelry in. She replaced the centre of the frame with padding so she could put a pin inside. 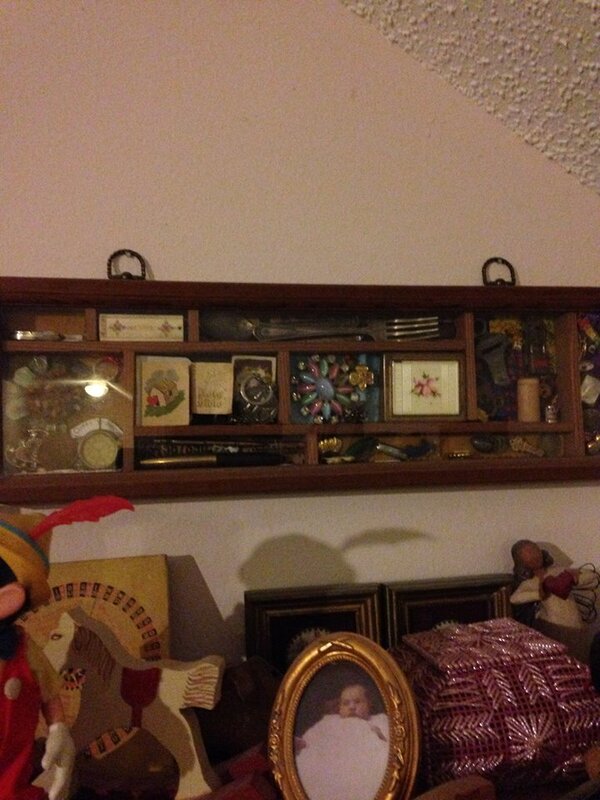 In another photo in this post she put a stick pin in the middle of the frame and hung a ring inside the frame. To pretty the frame up she took a broken pearl necklace and glued some pearls to the frame. I love the idea of using broken sentimental jewelry in a way that is so pretty. And it would be a neat way to display some special rings or pins. These jeweled corsage bracelets are made from old watch bands and smaller jewelry like brooches, pins, or earrings. Aren't they beautiful? If you have a sentimental old watch band and a sentimental brooch you could combine them into something like this! All these ideas are ways you can actually use / wear / display the jewelry that you want to keep without it cluttering up your jewelry box, top of your dresser, bathroom counter, or vanity drawers. And you'll remember the person who gave you the jewelry every time you see it! What makes it hard for you to let go of jewelry? If you've let go of some sentimental jewelry, what made it easier for you? 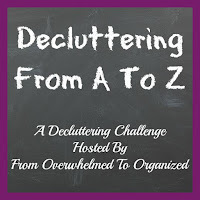 What tips can you share with those who are struggling to declutter theirs? 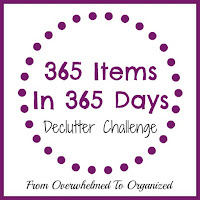 As you declutter your jewelry, take pictures and share them on social media using the hashtag #declutteringsentimentalitems so you can inspire all of us to declutter our sentimental items! If you've got a picture of how you displayed or re-purposed jewelry please share it in the comments or on one of the series' social media posts. I'd love to see how you are giving honour and respect to your sentimental items!